As the name might suggest, it is not a type of masonry. It is a sport, not a trade. Bouldering is a style of rock climbing. For some, the sport is about strength, muscle, and sheer determination whereas for others it’s more about finesse, detailed care, and balance. Bouldering has already been practiced as early as 1880, used by the British in training climbers for longer mountain climbs. It was only during the 1950s when the Father of Modern Bouldering, John Gill, who is also a climber and gymnast, brought Bouldering into the mainstream and made it into a sport in its own right. 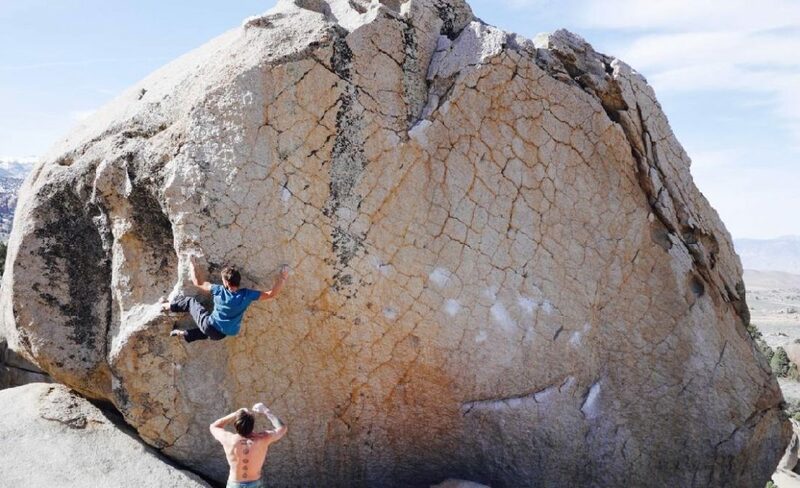 As a sport, Bouldering is steadily working its way up to the ranks of extreme sports. It already spawned some star athletes such as Lisa Rands, Ryan Pasquill, Emily Harrington. It is also increasingly getting popular as a sport that promotes physical fitness, body endurance, creativity, and quick thinking. In short, Bouldering is a sport suitable for people who thrive in adventure and for adrenaline seekers who aren’t afraid to take risks. 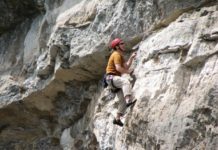 Sure, it may be difficult at the beginning, but after a few tries on the rock and finally getting the hang of it, rest assured that the feeling of accomplishment and relief will overshadow whatever frustrations you’ve had when you were starting. It is common for those who are unfamiliar with Bouldering to wonder where the thrill is in scaling a twelve-foot wall. The characteristics below may help you change the way you look at it. Bouldering is not all brawn. It does not only require body strength but also the creativity in solving boulder problems. A climber may actually have to dangle a bit to reach that far-off-corner slope, but then again, there may be other ways to traverse your way through it. Overcoming a problem takes a certain amount of creativity aside from the physical exertion involved. It’s the perfect drive for physical fitness. Like most things, you cannot simply waltz your way to success. Sometimes, it takes time, and consequently a handful number of times to beat it. Bouldering is a great way to motivate yourself to work out while pushing yourself to the limit until you eventually succeed. It’s ideal for thrill-seekers since Bouldering is never without the risk of getting injured. But more often than not, it is the aspect of danger that turns on some daredevils to try it. 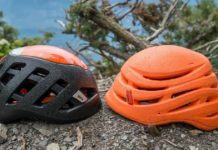 One should keep in mind, though, that also because of the risk factor, one should at least be aware of Rock Climbing Safety Guidelines to fully enjoy the sport. In most cases, the sport might seem daring and life-risking. Truth be told, it is. Serious climbers can climb thousands of meters high. They are secured in a harness, hopefully wearing a helmet, and likely have someone below or above them working as a belayer. 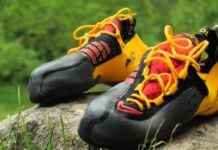 These factors separate what is known as sports climbing (where metal bolts are secured into the rock for climbers to clip into) and traditional (trad) climbing, (where climbers must secure their own specialized equipment) from bouldering. A boulderer does not wear a harness, won’t wear a helmet and has little security other that the strength in his or her own fingertips. 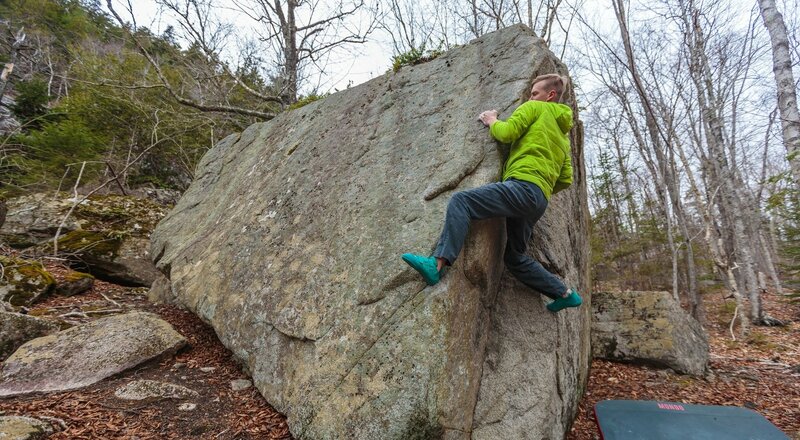 Though it might seem only an insane human being would climb a rock face without being attached to a rope, a boulderer would generally never climb higher than 12 feet. He wouldn’t need to. While in trad and sports climbing, the rush mostly comes from the height a person is able to climb (along with the level of difficulty of course), in bouldering, it’s all about the “problem.” In rock climbing gyms the problems (routes) will be marked out with some kind of colour scheme while outside people refer to guidebooks, memory, or chalk marks that someone has left behind. 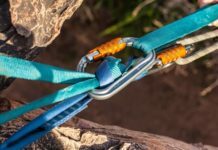 While problems determine which holds a climber is supposed to use for his feet and hands, they also often determine which holds he is not allowed to use. These are called eliminates. 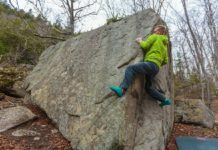 Like a math equation (and there seem to be a curious amount of math students at bouldering sites) problems are figured out through trial and error…. And more trial. Again, unlike the excitement of multi-pitch climbing a monolith like Yosemite’s El Captain or Squamish’s Stawamus Chief thousands of meters up, when bouldering a person could be chuffed to bits after “sending” a problem that only got him a meter off the ground. Especially if it was a really difficult sit-start—It doesn’t matter how light you are, lifting your entire body weight off the ground is always a challenge. 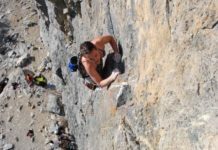 It is not uncommon whether in a rock gym or outside in a bouldering field to see a group of people, perhaps they know each other, perhaps they don’t, sitting at the bottom of the rock quietly mapping out in their minds how to go about conquering the problem. They could also be conversing, trying to figure out the best way together. Others will shout instructions and general words of encouragement. It just depends on what part of the world you find yourself bouldering. And there are many sites all over the globe. For example, Tonsai Beach in Thailand, Squamish in BC, Canada, Stanage Edge in the Peak District, UK, and of course Fontainebleau which is south of Paris.